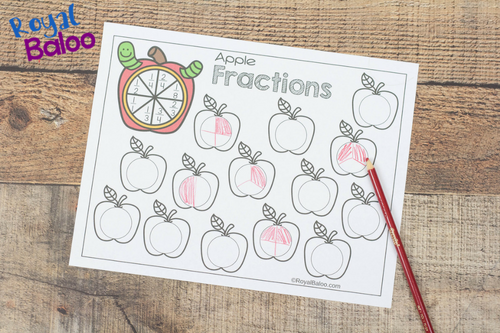 Make learning fractions with these fun apple fractions pages. 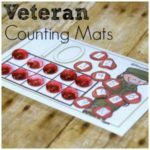 Fractions can be a game for kids so they’ll want to learn and practice more.Oh fractions, how I do not envy you. Is it just me or are fractions a common enemy? That don’t follow the rules as easily as other math concepts we learn. But fractions are useful and worth knowing. So it only seemed natural to work more on understanding fractions. I think the key to fractions is being allowed to play with and manipulate fractions frequently. Once the kids truly understand what makes a fraction a fraction, they will likely find it easier to work on other concepts that involve fractions. It is apple week! All week long, Apple printables galore! 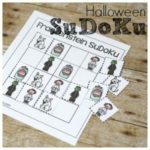 Don’t miss the printables coming from Cassie at 3Dinosaurs.com and Deidre at JDaniel4sMom.com. 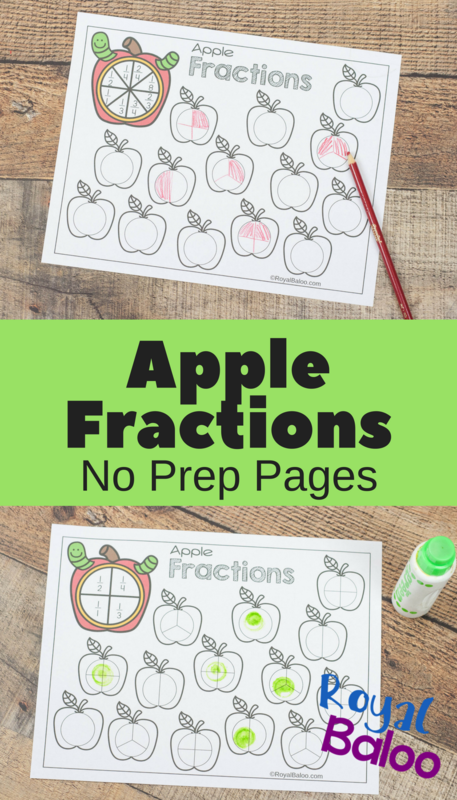 There are 3 separate pages for the apple fractions depending on your need! Yay! So option 1 has all blank circles where the kids can split up the circle on their own. Option 2 has all the fractions in place and they just color the correct amount. Option 3 simplifies the fractions into the 4 most common fractions that beginners start with. 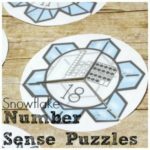 I wanted a quick and simple fraction review for my boys and I knew they really enjoyed the Snowflake fractions pages. So I simply remade them with apples for even more practice. We often treat it kind of like a game. Sometimes we guess which fraction will “win” before hand and root for each one. Sometimes we try to guess before each spin to see if our prediction skills are on par (they’re not). And sometimes they just spin the spinner and mark the fraction. I try to make worksheets like this more fun and less work but it’s not always possible. Of course, I think getting to color and dot fractions is automatically a bit more fun than a plain worksheet.